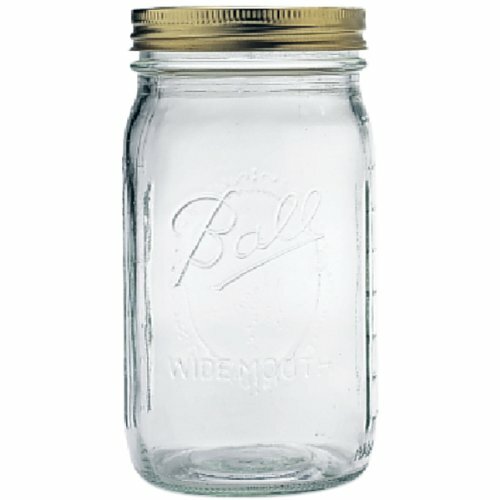 32 - Ounce Quart jars. Case of 12 includes jars, lids, and bands for home canning. Made in USA. Ball® Wide Mouth Quart (32 oz.) Glass Preserving Jars are ideal for fresh preserving whole fruits and vegetables like peaches and green beans. Enjoy homemade pickles year round with our famous glass jars. Ball® glass preserving jars go beyond fresh preserving to help you with serving, creative décor and gift giving.